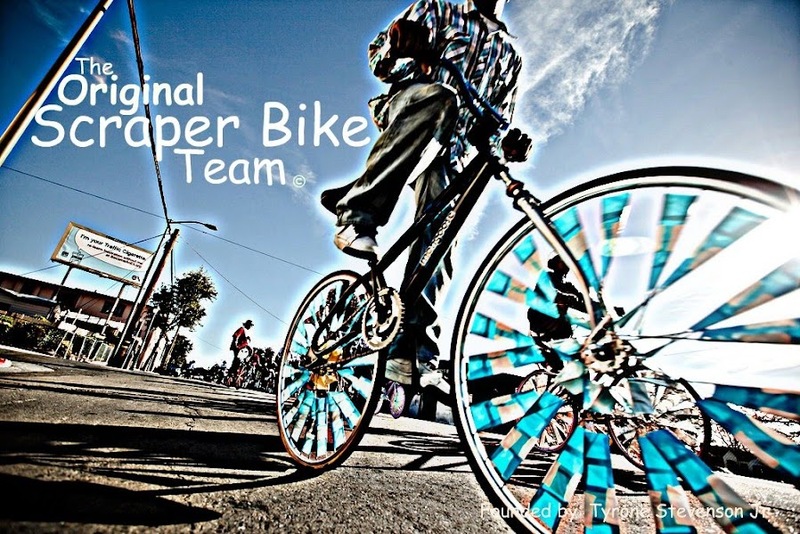 Original Scraper Bikes: BRAND NEW!!!!..." Scrapertown"
Never Before Seen..Til Now....The Latest Short Documentry Of The "Scraper Bike King"..
Coming To A Film Festival Near You.. This is a beautiful new film about the Scraper Bike scene in Oakland, featuring Baybe Champ, The Scraper Bike King. You should watch it now! Hit that “full screen” option. This film is so gorgeous, it should be viewed big as possible. Scrapertown from California is a place. on Vimeo. Terrific film. I had the chance to see your presentation at the Social Enterprise Alliance conference in San Francisco and loved it when you said: "What I really want to is start a nonprofit to help kids!" Am blogging about it on our blog, Nonprofit Street. That video is amazing. I had never even heard of a scraper bike til I saw this video on the Vimeo site. Now I think I'll making my own scraper bike. Love the video, love the movement. Nice stuff. you got some gorgeous wheels there. Do you want a Scraper Bike? OriginalScraperBikes. Awesome Inc. theme. Powered by Blogger.